The term "B Corp" is short for benefit corporation. A benefit corporation is more than just a for-profit business with a fancy title; it is a business that strives to be a force of "good" in the bigger picture! There are 2,500 certified B Corps globally, 45 within the state of North Carolina, and 3 housed at The Frontier campus! *The date has changed, but the plan is the same! 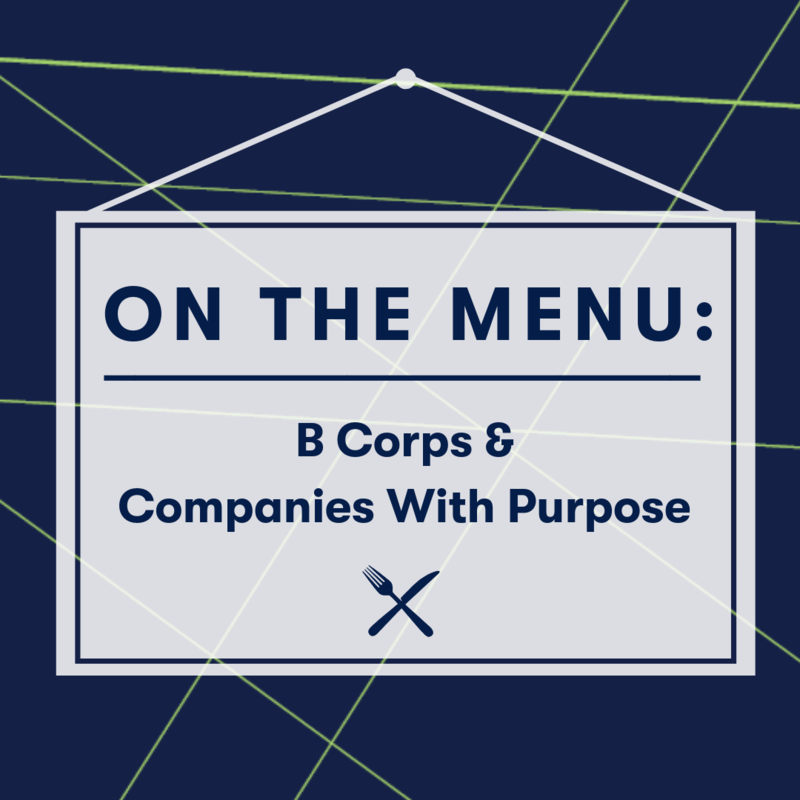 * Join us October 29 to hear from some of our in-house experts on the in's and out's of becoming a B Corp. They don't give the certification to just anyone, so if becoming #46 in North Carolina is something you are interested in, you'll need to know what it takes. Christina Noel and Alisa Herr of Unity Digital Agency have the knowledge and will be serving it up ... along with lunch! Want to do a little homework on Certified B Corporations before the workshop? Start here. Each month, we'll offer a lunchtime workshop on a special topic related to small businesses or startups. On The Menu will be taught by a diverse group of experts from around the Triangle (some of whom started their business here at The Frontier!) a small group setting.